Who said that brides and bridesmaids MUST carry a bouquet? Instead of spending your coin on an expensive floral arrangement, buy yourself and your bridesmaids bright and trendy clutches to carry down the aisle! Not only are they cheaper in the long run, but they can be used over and over again. Plus, you’ve now killed two birds with one stone. You have your bridesmaid’s bouquets and gifts for them too! Such a cute idea, right? 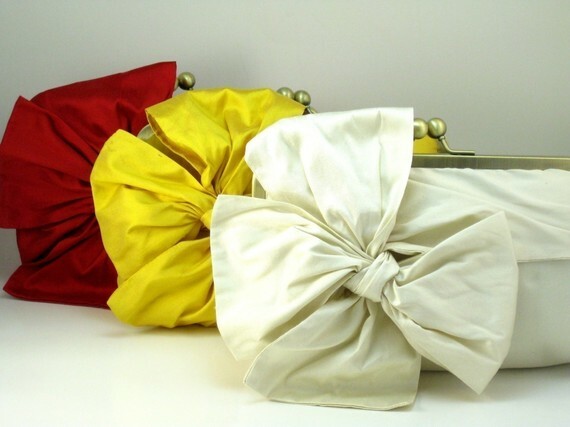 So where can you get those gorgeous bow clutches? Etsy! They were made by Davie & Chiyo, one of my all time favorite clutch designers on Etsy. 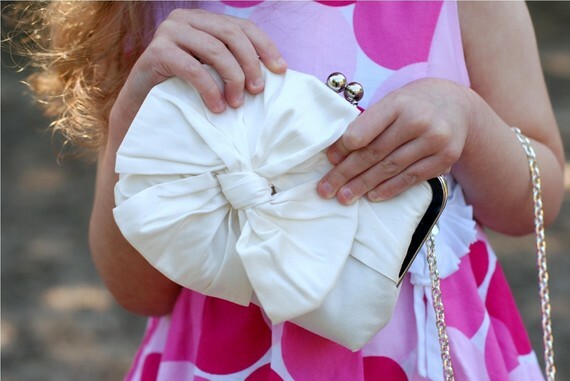 These clutches also make fabulous flower girl accessories. 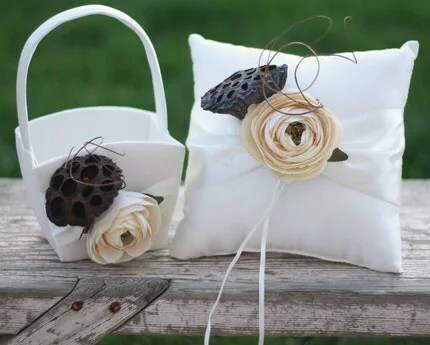 Instead of pulling petals out of a basket, give your little one a smaller version of this clutch to fill with petals. And she’ll feel like one of the girls! Remember how I was dead set on having a birdcage veil to change into for my reception? Well, I’ve sort of changed my mind. Surprise, surprise! At 2 months before my wedding, I’m trying NOT to have second thoughts about anything, but, as I imagine my perfect, fairytale wedding look, a birdcage veil just doesn’t fit anymore. 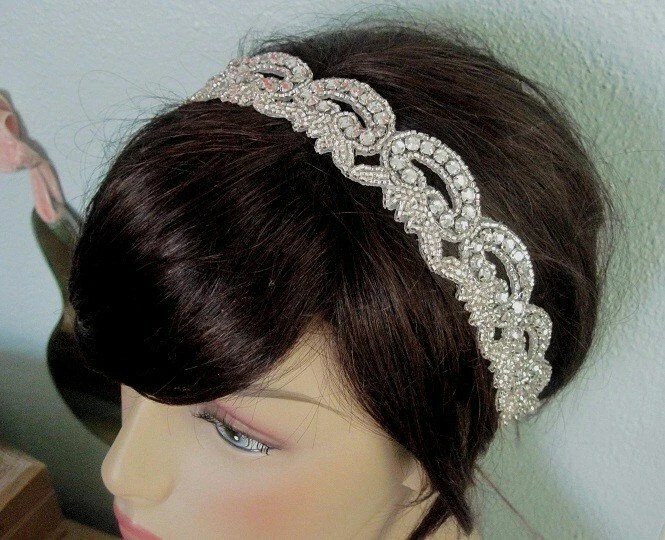 Instead, I’m getting a glamorous and glitzy headpiece to rock once the party starts! I love birdcage veils, don’t get me wrong, I just think after wearing a veil for the better part of the morning, I’ll be over it. 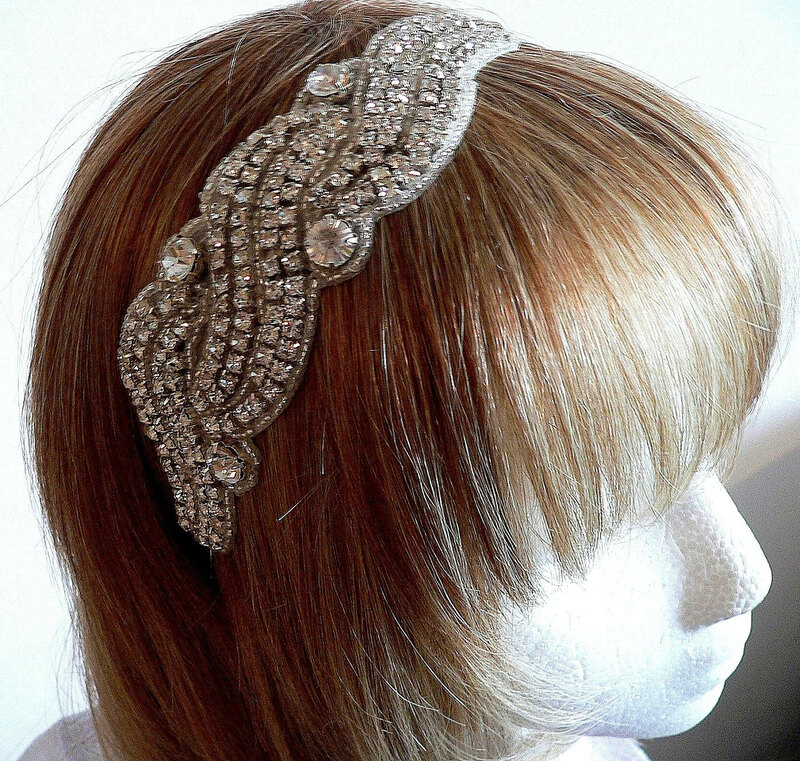 So I found some vintage and super chic sparkly head pieces that will provide just the right amount of sparkle and pizzazz to my fabulous hair do! All found on Etsy. 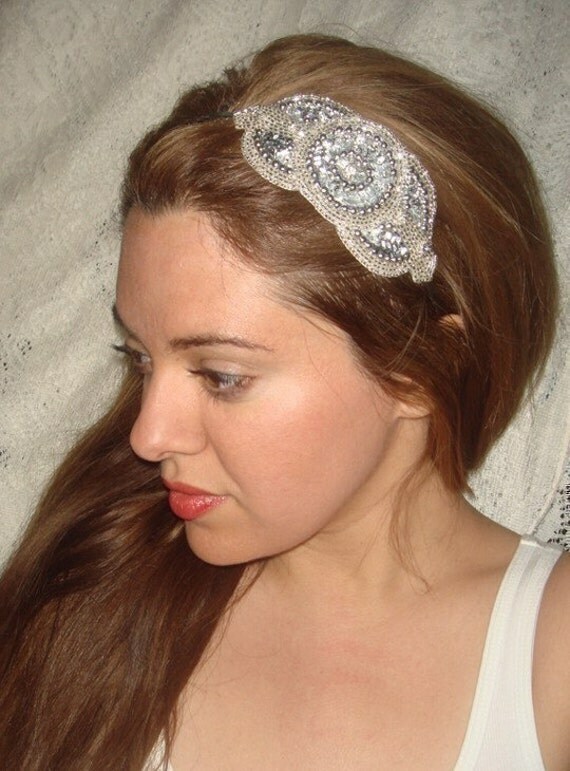 Wedding Wednesday Wonders: Etsy Addiction Part Duex. I love Etsy. I want to win the lottery so that I can buy every single item on the website. 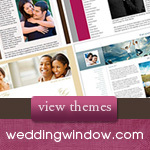 Their hand made wedding accessories, invites, decor, dresses, shoes, purses and favors are to die for. The vendors on there are MAD talented. My favorites as of lately all have a similar theme – hand made rosettes! I love the rosette appliqué look on clothes, purses, shoes, pillows, chairs…well, just about everything! 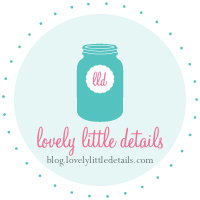 So take a peek at my favorite rosette applied and rosette inspired products. I highly recommend hiding your wallet while you peruse or you may find yourself out rent money this month! 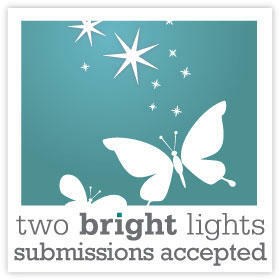 Also, keep your eyes peeled for an Etsy giveaway coming in the new few weeks, it’s going to be fantastic!